The Yonex U5201EX t-shirt is designed to meet the needs of a modern game and not limit movements during lunges, smashes or drives. It has short sleeves and is made from a lightweight breathable material. 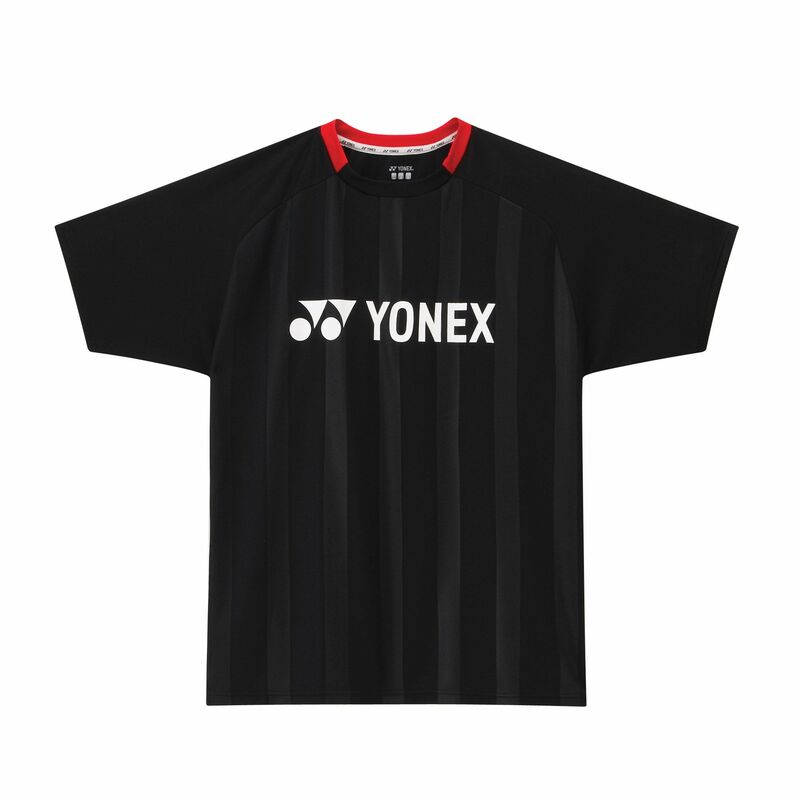 The t-shirt features reflective and matt alternating stripes giving it a very stylish look especially in combination with a contrast colour red neck and a white Yonex logo on the chest area. for submitting product review about Yonex U5201EX T-shirt.